Joseph Pina, 90, of Taunton, passed away peacefully on Saturday, March 30, 2019 at Lifecare Center of Raynham. He was the husband of Sylvia (Rene) Pina. They were married for 70 years. Born in East Taunton, he was the son of the late Anthony and Mary (Coelho) Pina. He served his country proudly in the United States Army. Joe worked as a foreman at Sheraton Silver Manufacturing, as a manager at Howdy Beef Burger for over 20 years, and the as a job developer. Mr. Pina enjoyed fishing, cooking, especially frying hamburgers on the grill and preparing thanksgiving dinner. He was also an avid New England sports fan. Besides his wife Sylvia, he leaves his children Joanne Costello, of Taunton, twins David J. Pina, and his wife, Lynne, of Taunton and Dean J. Pina, and his wife Corinne, of Raynham, Sylvia Prioli, and her husband, Joseph Jr., of Pocasset, Michael Pina, of San Francisco, CA, Sherry Moniz, of Portsmouth, NH, and Joseph C. “Jody” Pina, and his wife, Michelle, of Taunton; nineteen grandchildren; seven great grandchildren, and many nieces and nephews. 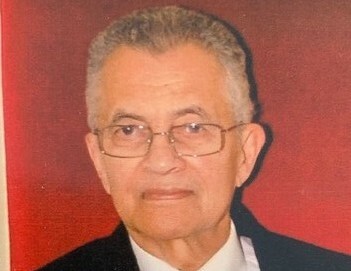 He was the brother of the late Daniel Pina, Louis Pina, and Lillian Baptiste. A Mass of Christian Burial will be celebrated on Thursday, April 4, 2019 at 11:30 am, in Saint Andrew the Apostle Church, Kilmer Avenue, Taunton. Interment with military honors will follow in Saint Joseph Cemetery, Taunton. In lieu of flowers, donations in Joseph’s memory can be made to a charity of one’s choice. For expressions of sympathy, to sign an online guestbook or to light a memorial candle, visit www.silvafuneralhome.com.